Made with pecan halves, Cashews, Almonds plus 4 other tasty morsels. Those 7 components are then spiced with a wicked brew containing spices, some secret, some not, resulting in a tasty snack mix that cannot be adequately described, only experienced. 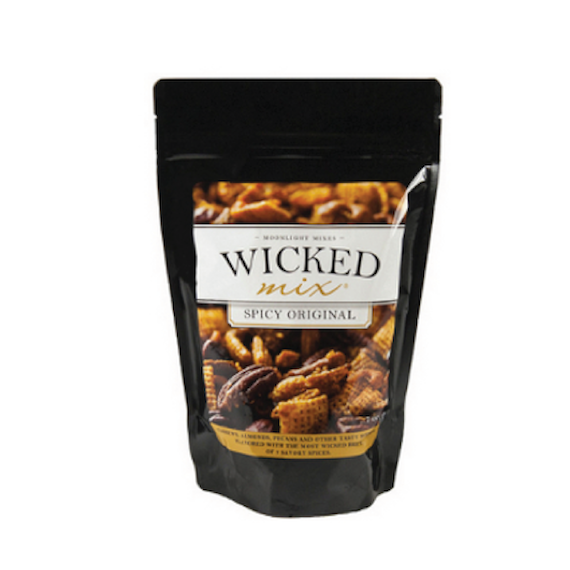 Its a perfect blend of salty , sweet, spicy , crunchy, nutty mix of textures that compliment each other. Never had anything quite like it. This has got to be one of the best I have ever tried.